Multilingual is the default feature that is missing most from WordPress. Can not make a real multilingual WordPress site without using a translation plugin. But what WordPress plugin translation to choose? Discover immediately the ranking of the best translation plugins for WordPress. This test is obtained by cross-checking different independent tests on WordPress translation plugins but we can sometimes have a backward link. Translating a WordPress site, whether personal or corporate, is a decision that should not be taken lightly because designing and maintaining a site with multiple languages is clearly a mini-challenge in itself. Let’s discover 10 reasons to design a multilingual WordPress site. English has a particular treatment because the population that connects on the Internet speaks 28% English, but we find more than 55% of the content on the internet that is in English. In other words, having a site in English is important, but do not forget other users. Having a website in English is good. It’s very good. English has clearly developed on the internet to become an almost universal language. But this is true only for a certain type of content. When it comes to doing business and money flow, many studies tend to show that the buyer will decide much more easily on a site that speaks his language. You have to speak the same language as your clients and prospects. This is certainly the most obvious reason, one that will push the majority of WordPress site owners to have it translated. It is good to provide content in the target language of your future clientele. Continue to grow its WordPress site? Increasing your audience is not easy. In order to achieve this, getting your WordPress site to multilingual is an excellent way to do this. By increasing the number of languages available on your WordPress site, you increase the potential share of reader from around the world on your website. Having a competitive advantage is a major asset in the race for good internet investments. If your competitors have not yet embarked on the multilingual adventure, doing it right now would allow you to start building a competitive advantage. Do your competitors already have a multilingual website? It’s time for you to start catching up in this case. If there is one place where brand awareness is essential, it is on the internet. But as we have seen above, talking to 85% of the connected population means speaking 10 languages on their WordPress site. If your goal is to strengthen the reputation of your brand, a website is good, translated into several languages is much better. Talking about translating a WordPress site is also implicitly speaking of eCommerce sites. With WooCommerce, WordPress is the foundation of 75% of the new eCommerce sites worldwide. But from a translation point of view, things can be diametrically opposed. While the question may arise on a business site or blog for example, the question of translation is much less relevant when it comes to eCommerce and sending products abroad. Moreover, European legislation would tend to make all sites of the European Union Union speak several languages to facilitate trade on these sites. Did you know that a study showed that 47% of European Internet users had never bought on a site that did not speak their language? Almost every second surfer is huge. When we speak of conquering the international market, we too often hear behind it an idea of conquest of the whole world. When you’re small, wanting to conquer the world in one go is not easy. The best strategy is to develop in a few target countries, where you think you have the strongest external market. 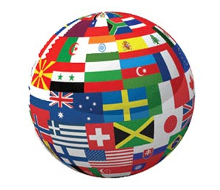 Translating your site into the languages of different target countries is an excellent strategy to begin to determine if the said country is a strong target or not. What does Google Analytics say? Translating your WordPress site can take a long time, whether at design or maintenance. In order not to throw a blind eye on a translation of your site into a certain language, a good way of doing things to determine which language to choose is to consult its Google Analytics country tab statistics. You will be able to discover where your Internet users come from and if there is potentially a target country interesting inside. When this is well done, multilingual SEO can be a very powerful SEO tool. But never forget when you do your translations, that you talk to human beings. Find the different plugins WordPress translation of this comparison presented in summary version. This will allow you to understand in sentence form the benefits of each of the WordPress translation plugins that we have presented to you. In summary: WPML offers a WordPress plugin that has established itself as the reference in its field. Complete, this plugin will allow you to propel a site with many languages, and that in all simplicity. Synchronization of menus, translation of theme and plugin strings, advanced WooCommerce support are all reasons to go straight to WPML in CMS version. 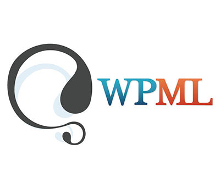 WPML offers the most advanced translation plugin for WordPress. In summary: WPML is a little too much for you? No worries, go to the blog version is the possibility to continue to use the core of the WPML plugin while avoiding installing too advanced features in its management of translations. WPML in its blog version has more ease of handling for smaller projects. WPML Lite version for a fast and efficient bilingual site. 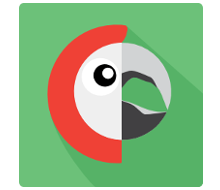 In summary: Arrived on the market of translation translation plugins for Polylang. In just a few months he has emerged as a serious outsider offering original language management on your WordPress site. With time, Polylang began to support more and more things like WooCommerce or Custom Post Types and Taxonomies. A competitor to WPML on many things to study carefully. In summary: After the very famous BackWPup, the team behind this plugin offers us a brand new translation management plugin for WordPress. 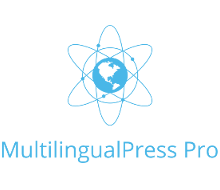 The idea that MultilingualPress a plugin different from others? Language management in multisite mode. the idea being to rely on a native part of WordPress in order to maximize the performance of your multilingual WordPress site. 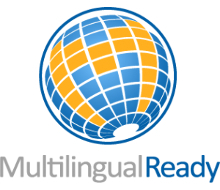 Multilingual WordPress multisite to increase performance. qTranslate X: WordPress translation plugin abandoned? In summary: qTranslate is a multilingual WordPress plugin project that propels more than 100,000 WordPress sites around the world This plugin allows us to add multilingual site management features directly to your site. WordPress admin interface. We regret that this plugin is not updated for more than a year without it being known whether its support will last or not. No update of this plugin for over a year? Too bad!